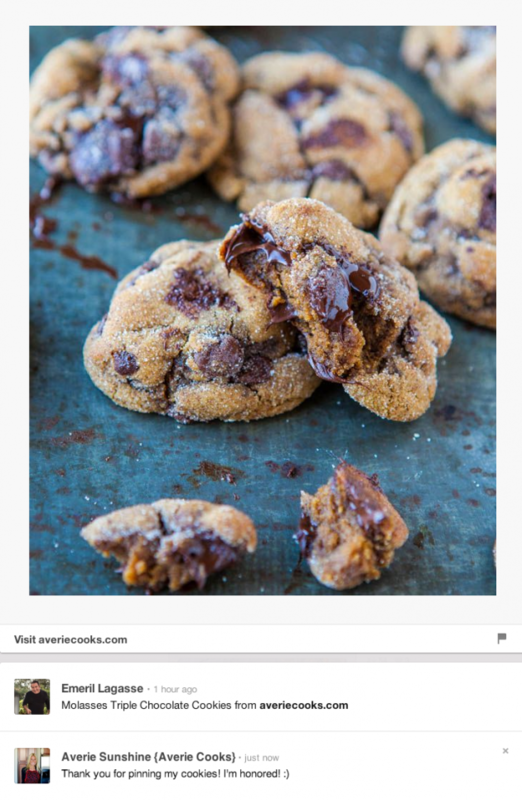 Last week Bethenny Frankel pinned some cookies of mine, too. It’s been a super cool two weeks for me. I’m guilty of buying appliances that wind up in what I call the Appliance Graveyard collecting dust. This book has great ideas to make use of said items. 4. I’m spending a few days in Las Vegas for the 46th Annual Pillsbury Bakeoff along with a dozen or so other bloggers invited on the trip. Among other things, we’re going to watch someone win $1 million dollars Monday night. I can’t even imagine how the 100 finalists must be feeling right now. I didn’t enter a recipe but gosh, for a million bucks, I wish I had. I plan to Instagram about my time in Vegas so follow along if you’d like. I’m really excited to see some bloggie friends there and can’t wait! It’ll be a little different than last month when I went to Vegas for 12 hours. 5. 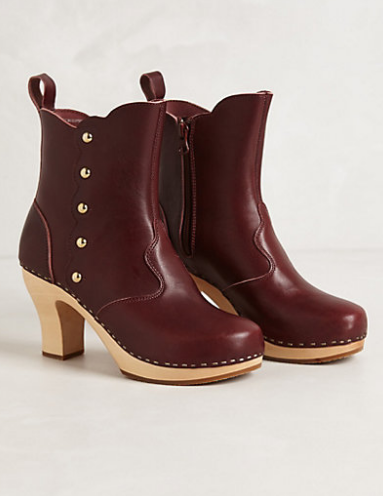 Not practical but boy, I’d sure love these Button Booties from Anthro. 6. 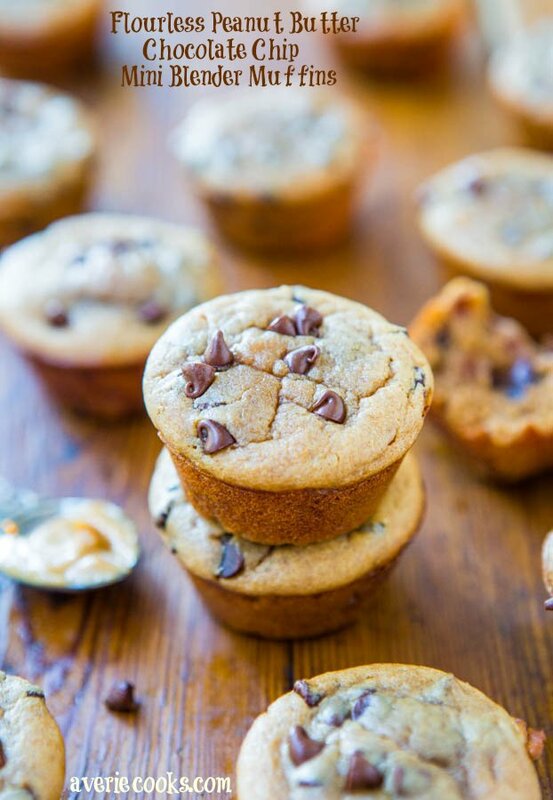 For a quick breakfast or snack, try Flourless Peanut Butter Chocolate Chip Mini Blender Muffins – 100 calories & NO gluten, grains, flour, soy, dairy, oil, or refined sugar! A 30-second recipe and they taste amazing. You’ll never believe there’s no flour in them based on their soft, springy texture. 7. Need a good conversion chart for U.S. and Metric Measurements? I like this one with handy real-kitchen examples. For instance, 50 grams of granulated sugar is 1/4 cup. But 50 grams of corn meal is 1/3 cup. Yeah. 30 grams of Parmesan cheese is 1/3 cup, but 30 grams of butter is only 2 tablespoons. No wonder most of us here are confused and panic over metric. Admit it, you panic when you see a blog in all metric and chances of you making that recipe are almost nil. Or maybe I just speak for myself. Joy recently wrote a great post about US and Metric. I side with Team Joy. 8. Look at these Apple Cider Pancakes with Maple Cider Syrup from Kristin. All of a sudden I’m really craving pancakes. 9. 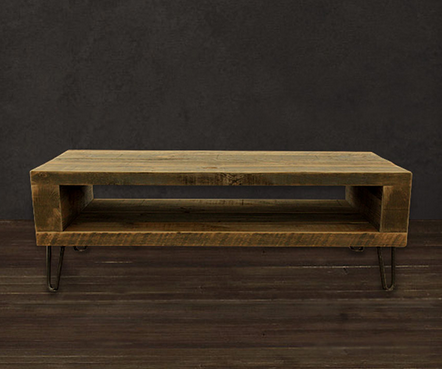 Small Reclaimed Wood Media Console – This would be perfect for the one and only TV I own. It’s a 20-inch tube TV from 1999. I wish I was kidding. Actually, I don’t care that it’s big and clunky and not flatscreen and sleek. It serves the purpose of allowing me to watch Food Network and my DVR’ed Bravo reality shows. Never met a Top Chef or Housewife I didn’t love. 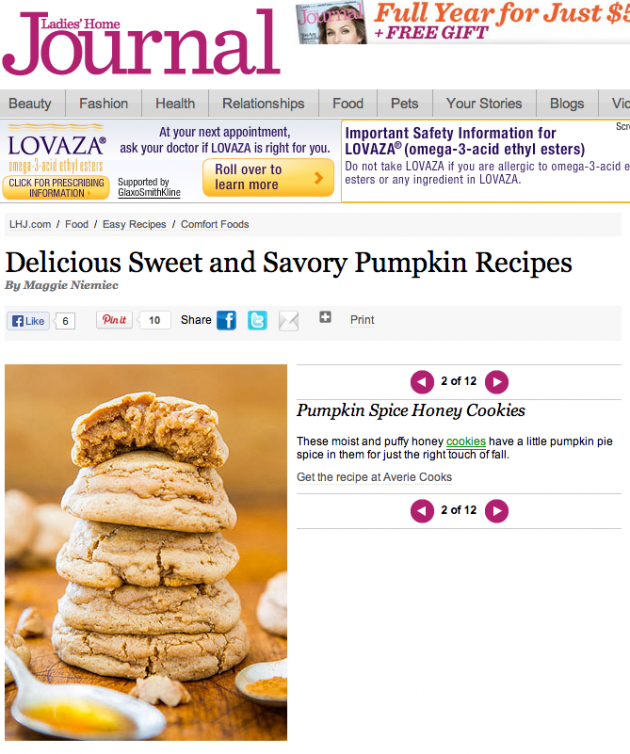 As an aside, that site, Scoutmob, reminds me of Etsy. 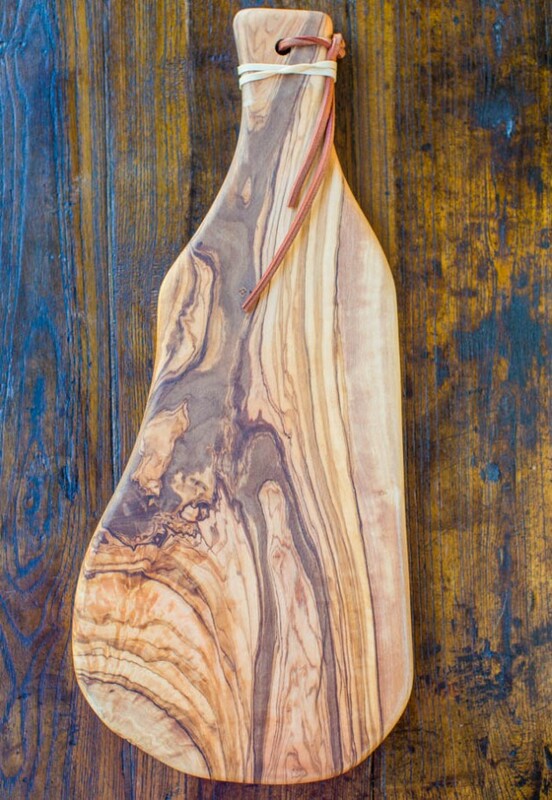 So many cool, unique, handmade amazing things for the house, home, clothes, and more. 10. Have you entered the West Elm $50 Gift Card Giveaway and Holiday Gift Guide yet? Baking anything? Any appliances in your appliance graveyard you wished you used more? Fun sites like Etsy that you know about? Congrats on the pins and feature in LHJ! 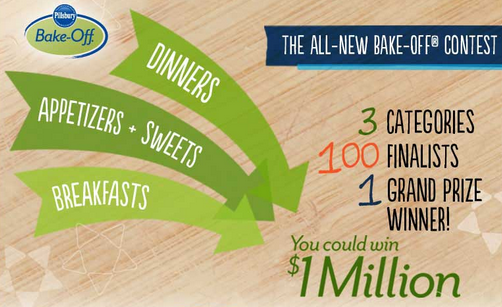 Have fun in Vegas–so cool you were invited…and 1mil for the grand prize isn’t too shabby! My parents are here visiting for the weekend (but staying with my sister) and my hubby was out of town yesterday and will be back this am. I am enjoying a morning of absolute silence except for the hum of the refrigerator! I might have to make another batch of those breadsticks since my husband missed out on them last night. Emeril and Katie Couric both follow me on Pinterest. Katie has repinned a couple of my recipes but Emeril has only repinned recipes I’ve pinned from other bloggers which is sometimes a little heartbreaking. Well that’s cool that they both follow you! Well Emeril should know you because you have the best food blog EVER, I made those very cookies yesterday. Brought some to work last night (gone in a flash), and I will be bringing some to a recovering-from-surgery friend today. You rock, Averie! Thanks for saying you made these cookies and that you love them, and that you brought them to work and they were gone in a flash. That’s wonderful! I have another (new!) molasses cookie recipe coming out this week so stay tuned! Hi Averie, It’s so cool that you get noticed a lot by celebrities. In NO WAY am I mocking you, but are you a celebrity yourself? BTW, I made your twix cookies today for my daughters 5th b-day. Oh my they are delish. Thank you so much. Glad you liked the Twix cookies and happy bday to your daughter! Thanks for ALL your sweet comments today! I am all for using metric as a more precise form of measurement. In healthcare, we use the metric system daily. It is frustrating that our country does not switch over! I somehow missed that you were going to Vegas?! Have fun!! I’m Team Metric, big time. But in this case, it is more a weights vs volume argument, not a metric vs US (though US tends to use volume and metric (ie EVERYONE ELSE) tends to use weights) I like weights over cups for the simple fact that I don’t have tons of little dishes to do! Just dump into the bowl that you have on the scale! You always get the biggest people repining your pins! So cool and congrats. Your recipes totally deserve it! And geez, LHJ!! Congrats again! You are on fire. As always! 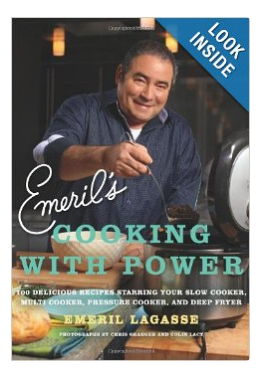 I love Emeril – that is so stinkin cool!!! You’re right, I’m one of those who panic when I see a blog in metric, but I recently purchased a kitchen towel with a conversion chart printed on it. Those apple cider pancakes look so darn yummy, I’ll be making them very soon and I’ll freeze some to have them on the quick.